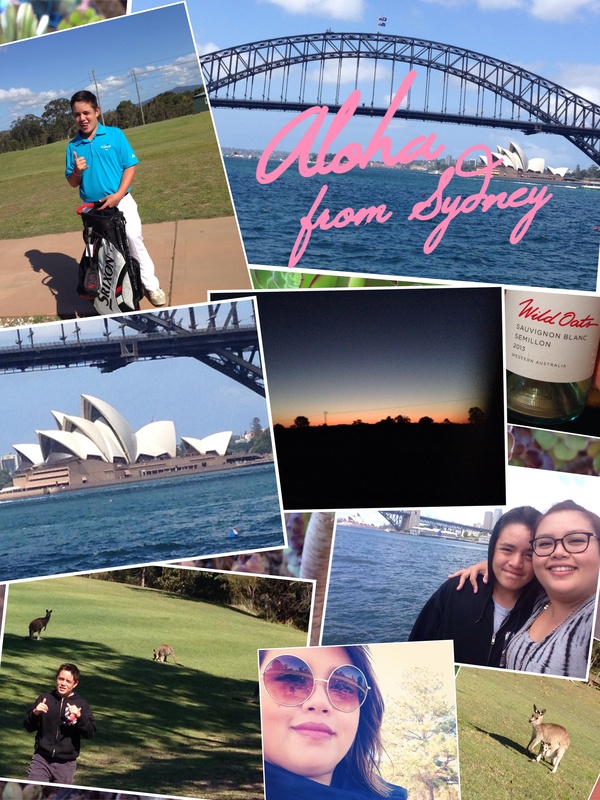 Most of our travel adventures happened before and after the tournament in Sydney. 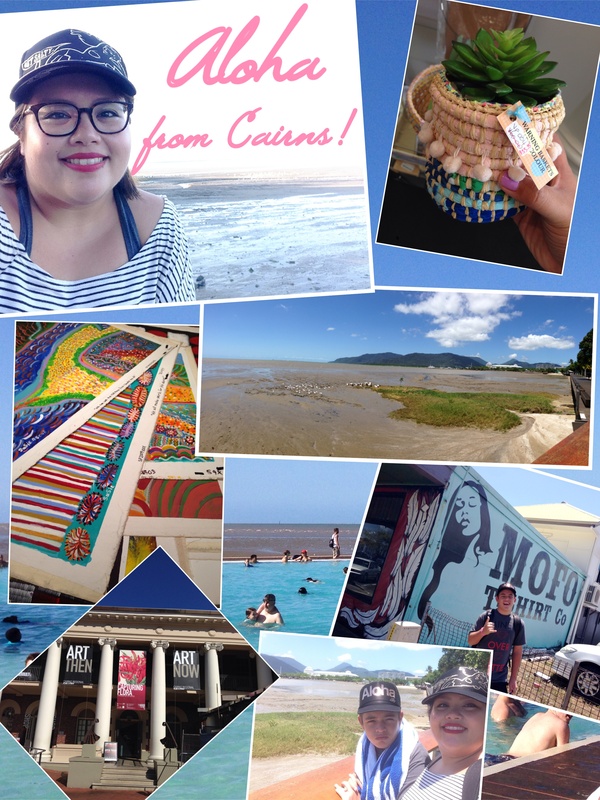 Here we are in Cairns visiting art galleries, the Esplanade pool and walking along Grafton and Abbott. Brentt and I only had a few days to explore Cairns and Sydney before and after the tournament. Cairns was our first stop from Guam. We stayed at the Holiday Inn (now called Double Tree) and it was in the perfect location. We could walk to the main Cairns Esplanade strip in less than five minutes and to the shopping mall in 15 minutes. The good eateries, ranging from Italian to Japanese, were scattered along Abbott and Grafton streets. Along the Esplanade, you’ll run into tourist traps and shops with crappy souvenirs – something we’re already used to in the islands, so we just kept to Abbott and Grafton, where there were more of the Cairns locals walking around. We stayed in Kurri Kurri, in the outskirts of Sydney. There were wild kangaroos right outside our rooms and witnessed beautiful sunsets. I even got to sample the local wine. The “beach” at Cairns isn’t that great. It’s brown. You’d have to ride a boat to the Great Barrier Reef to log in some great snorkeling…or you can just settle for the public pee-pool at the Esplanade. Your best bet to get some sun (other than going to the GBR)? Spend the day at the beach down Captain Cook Highway past the airport. The beaches are still brown, but at least it’s shallow, you can walk on sandbars and bbq like the locals. After Cairns, we headed to Sydney via Virgin Australia. Most of our time was spent on the golf course (see previous post) and the only food available was fried EVERYTHING. French fries, chicken schnitzel, fish and chips, etc. Not the most comforting way to go with two hungry island kids craving anything with some Asian spice and rice or noodles. 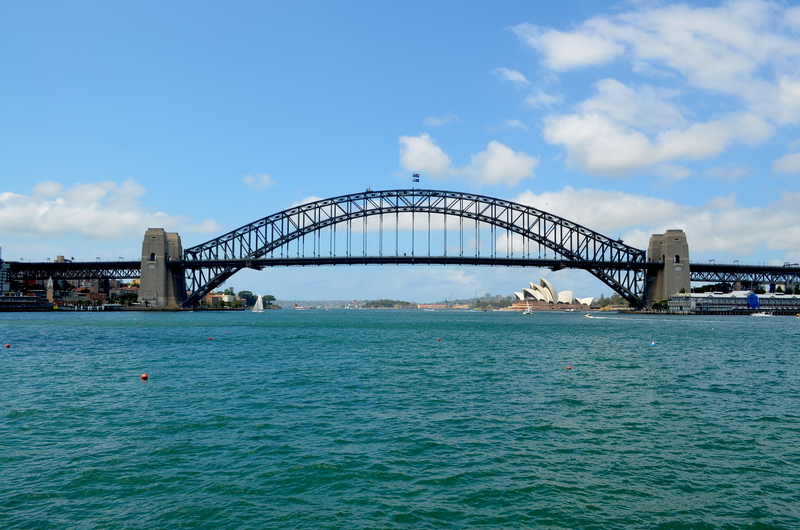 On our last day, we had a couple hours to visit the Harbour Bridge and Opera House. Our hosts from Hawaii were irritated by the traffic and ready for their flight back to Hawaii so we didn’t have a chance to fully explore the city. But we made the most of it and took lots of photos during our last day in Sydney. 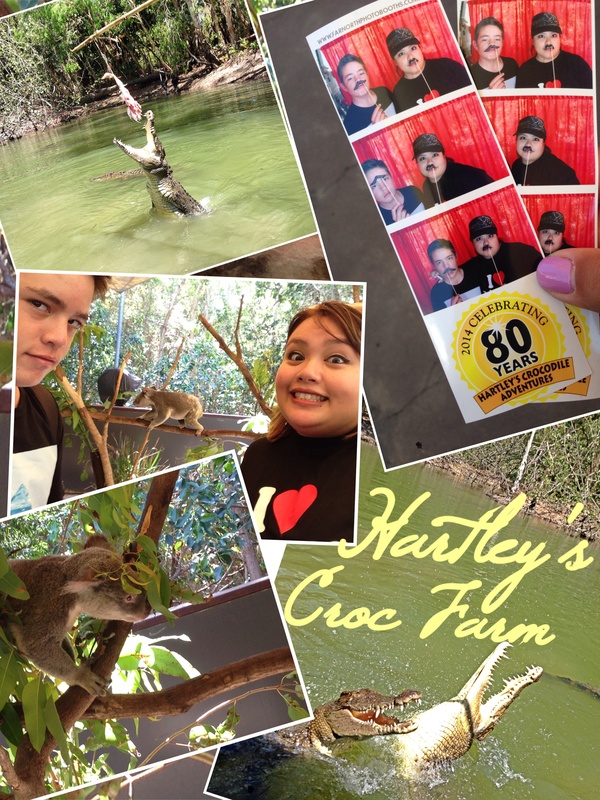 Our official last day in “Straya” was spent at Hartley’s Crocodile Farm. We then arrived in Cairns (again), returning from Sydney, we were weary travelers, enduring a rough flight on Virgin Australia and starved after refusing yet another fried meal. After checking into Rydges Esplanade, we took a 20 minute walk to grab some dinner and stumbled upon what looked like a bar from the outside, Rattle & Hum. It happened to have the best pizza in Australia that we had access to at the time. This is something we’ll always remember about Australia. Its wildlife, sights, kind people and wonderful weather amazed us everyday. We also decided to visit Hartley’s Crocodile Farm, which was 45 minutes away from the hotel. We bought a package for two that included the passes to the farm and transportation to and from our hotel for $111 AUD. It was fun! We covered the entire park in about two hours and relaxed with lunch at the restaurant. It was their 80th Anniversary so they had face painting, a free photo booth and complimentary croc sausages. It was the perfect way to see everything we wanted to see in Australia: crocodiles, koalas, cassowaries, wombats, wallabies and kookaburras. It was a great trip for Brentt and I. We’ve traveled to other places before, but this was our first brother-sister trip to another country. We enjoyed every bit of it. Oh dear Australia, it’s been unreal. It might be a couple years until we return, but until then, we’ll cherish the memories.